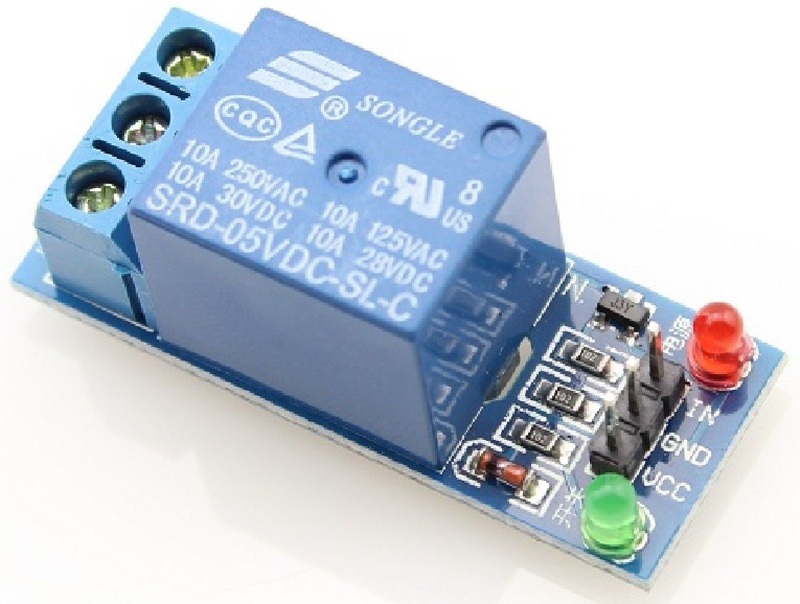 Note: If you have a device which draws more than 3 Amps, refer to the 10 Amp relay modules under Parts List (alternate Relay Modules). 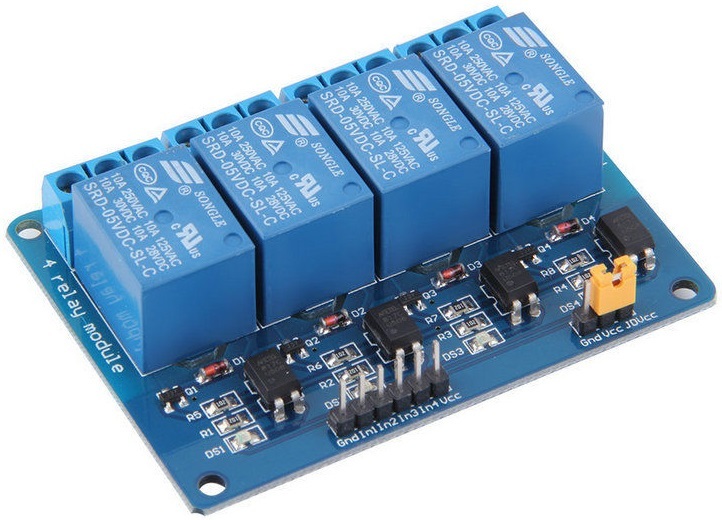 Note: You can mix-n-match the 4-channel 3 Amp relay shield and/or the 10 Amp relay modules up to a total of eight relays. 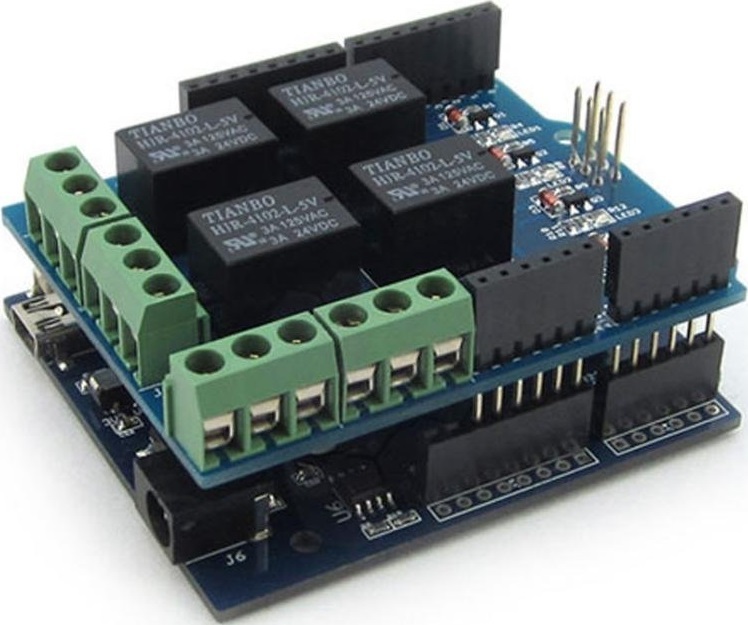 Note: In order to use two Arduino Uno 4-channel 3 Amp Relay Shields, you must “hack” one of the shields (i.e., cut and rewire four circuit board traces). We will document this hack with a future update. 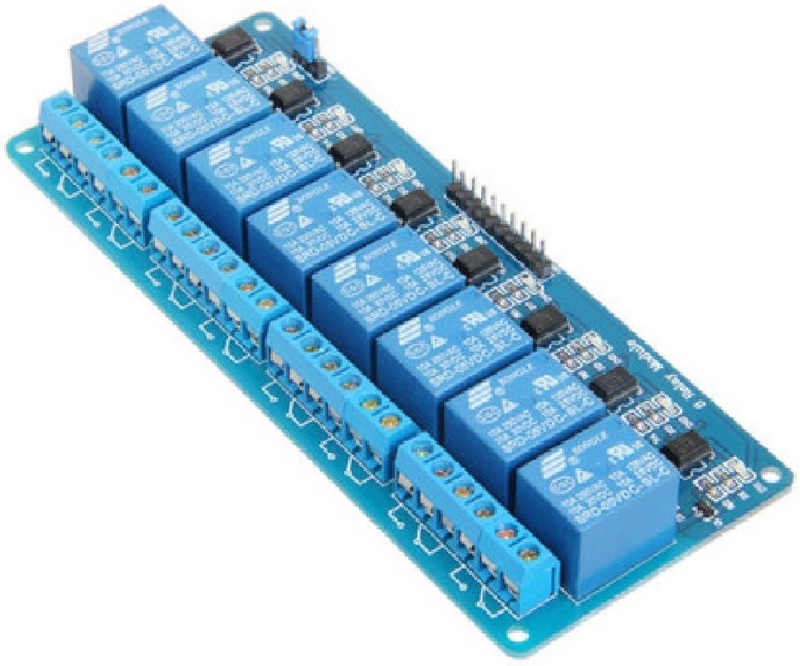 For now, we’d recommend an 8-channel 10 Amp relay module or a pair of 4-channel 10 Amp relay modules. 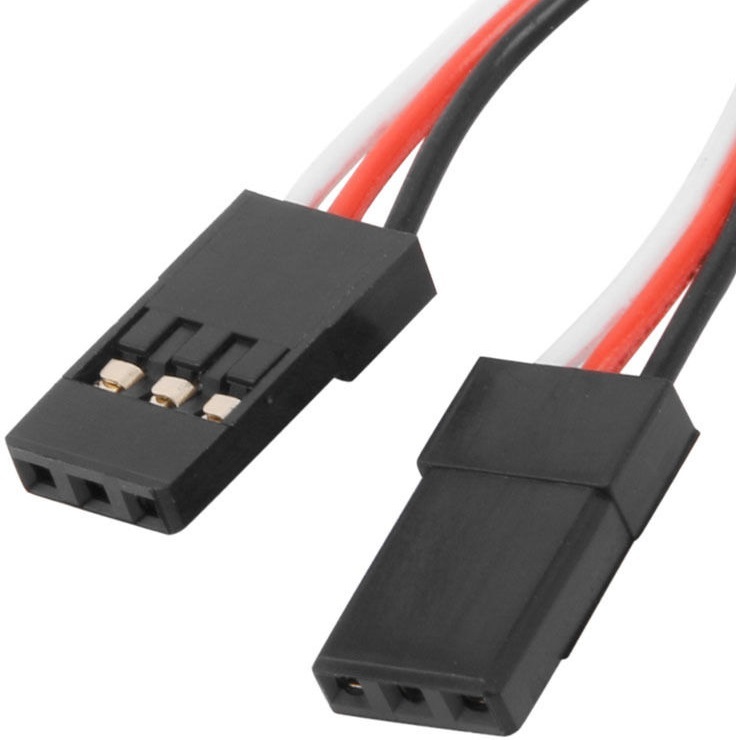 Refer to Parts List (alternate Relay Modules). 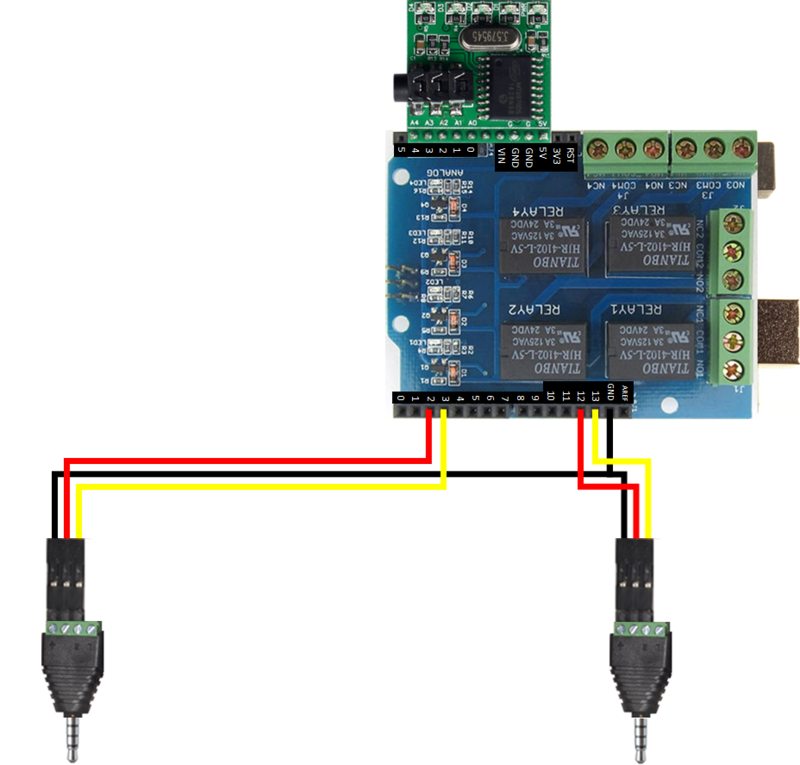 Note: An Arduino Uno sensor shield may simplify connections to a PIR motion sensor, relay module, media player, … using servo cables. 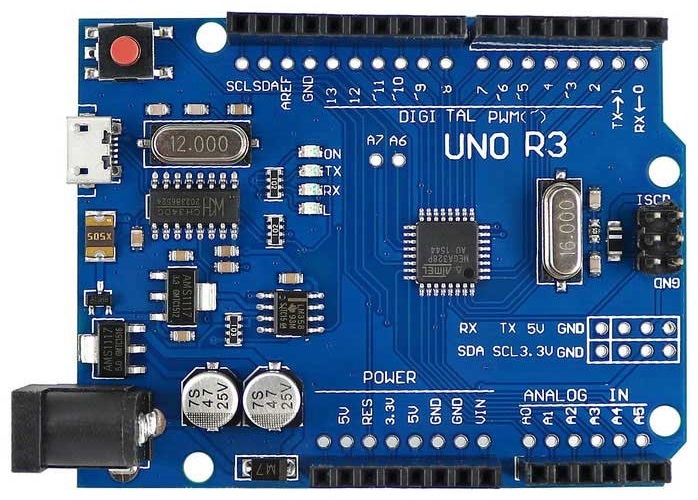 Note: Refer to Appendix A – Assembly (alternate Arduino Uno Clone). Note: Refer to Appendix B – Assembly (alternate DTMF Decoder Module). 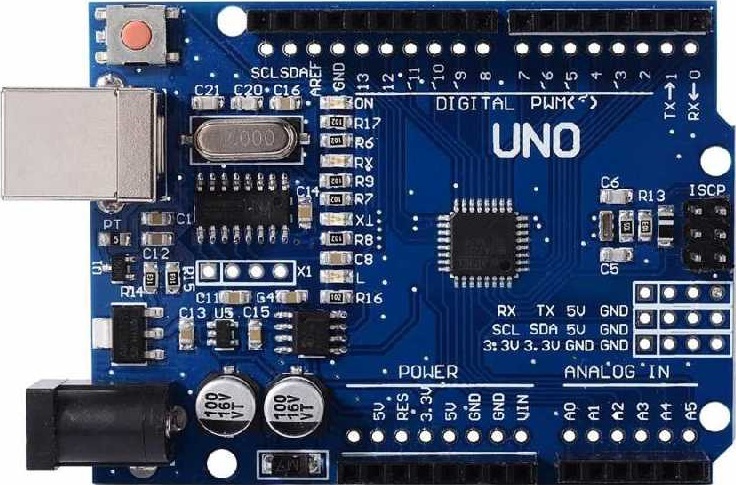 Note: The MT8870 10-pin DTMF Decoder Module is fully pin-compatible with an Arduino Uno and therefore recommended. Note: Firmware Version TVD2.0 2014-10-11 (via Setup / Menu → System Information). Note: Refer to Appendix C – Looping Video Players. 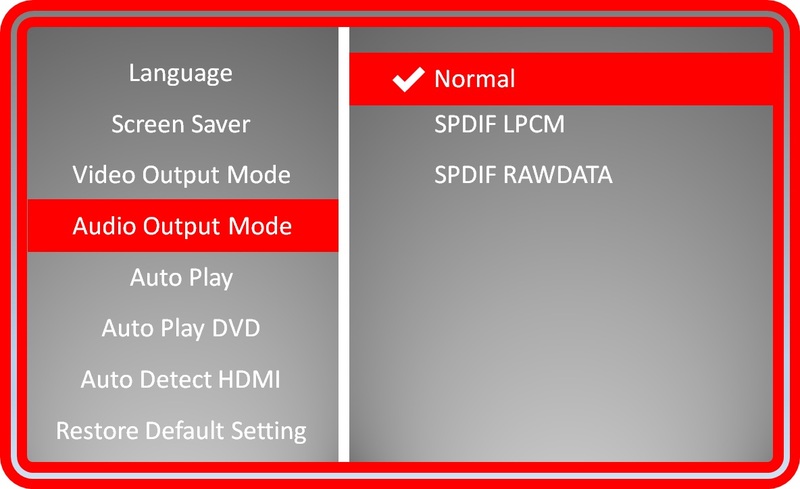 Note: Firmware Version FHD_TV2.0 Design 2014 (via Setting → System Information). 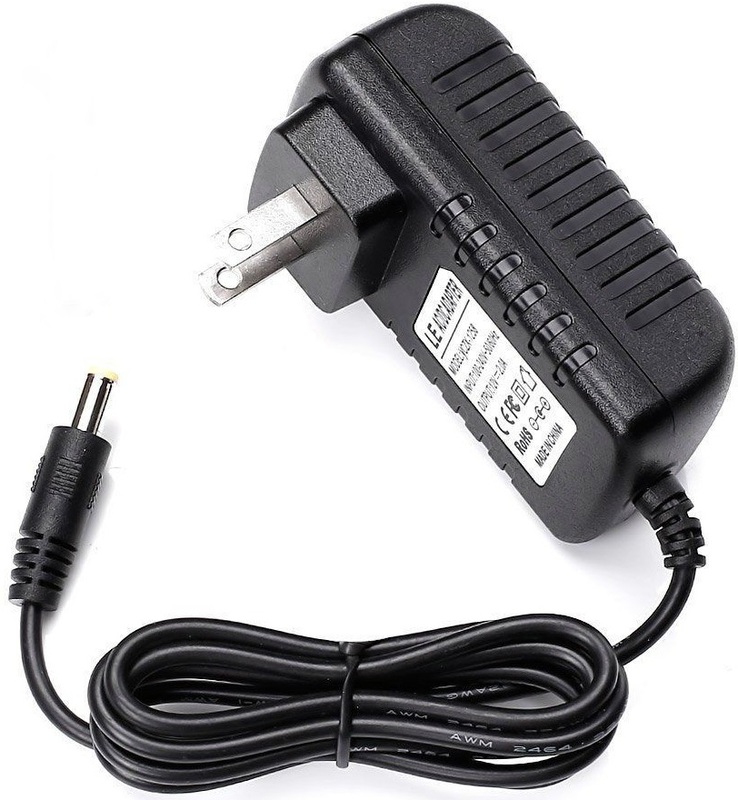 Caveat: The eBay listing depicted a US power plug. 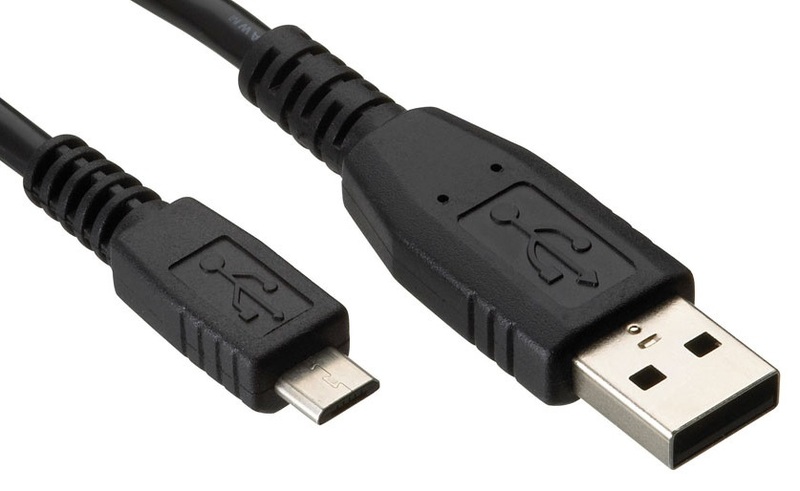 The item arrived with a UK plug. 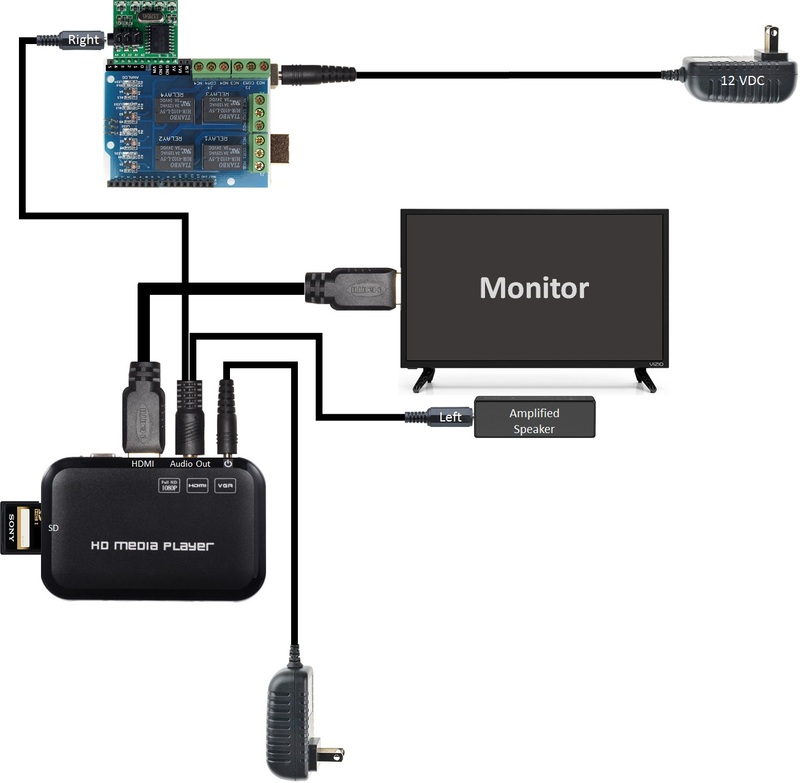 The Wicked Stone Video Player Controller / Relay Decoder supports several different configurations. This configuration involves a single video player. The video stereo soundtrack contains DTMF tones in the right or left audio channel. 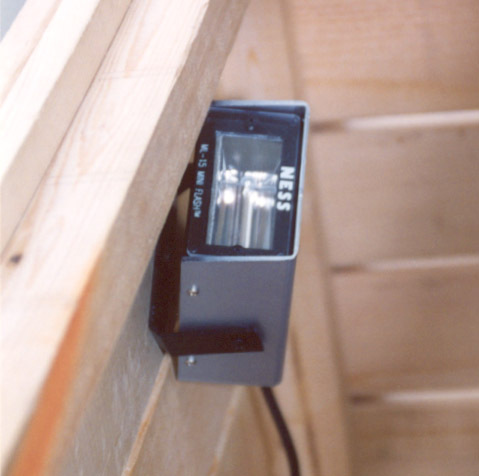 The audio channel containing the DTMF tones is connected to a relay decoder. 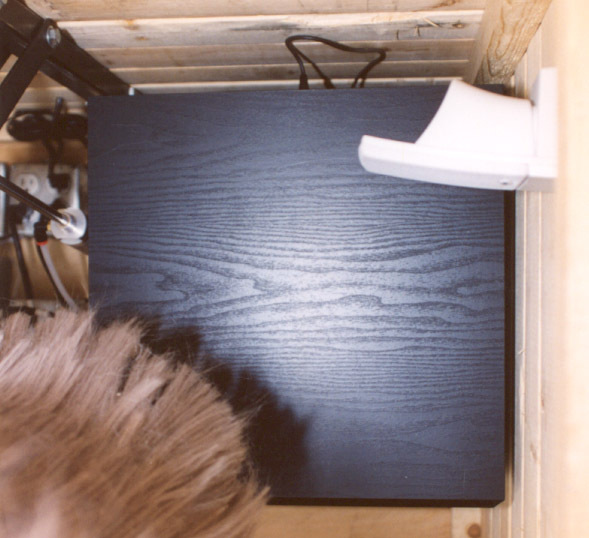 The other audio channel is typically connected to an amplified speaker. 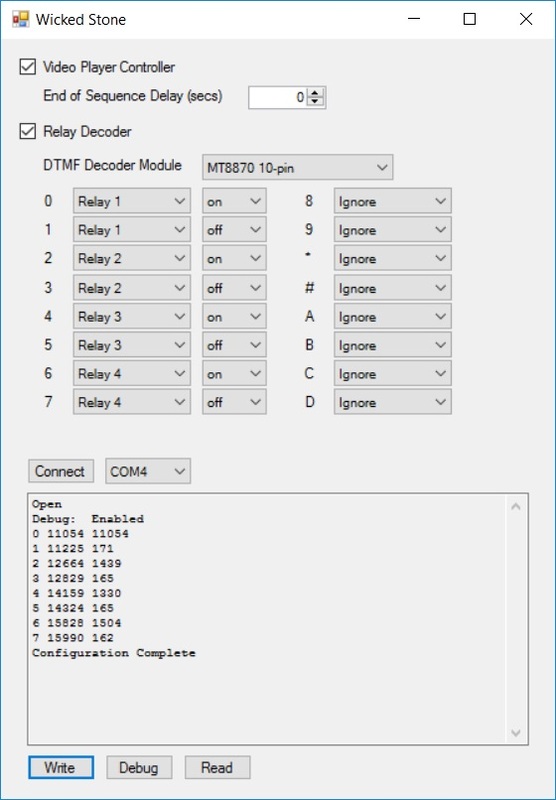 A relay decoder detects DTMF tones (1, 2, … 9, 0, *, #, A, B, C and D). Each DTMF tone either turns a relay on or off. 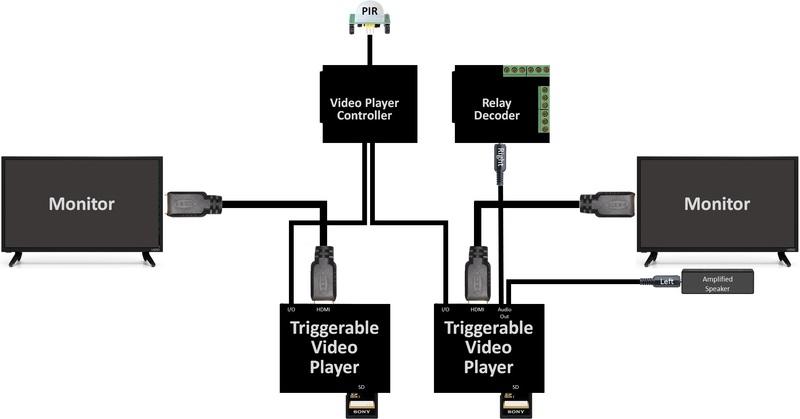 This configuration involves two (or more) triggerable video players. 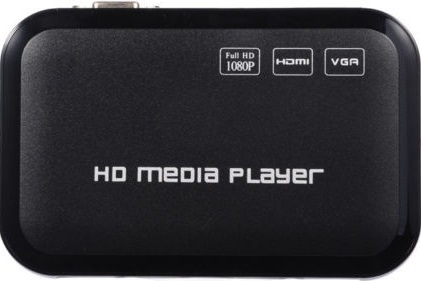 A video player controller is used to coordinate the video players. 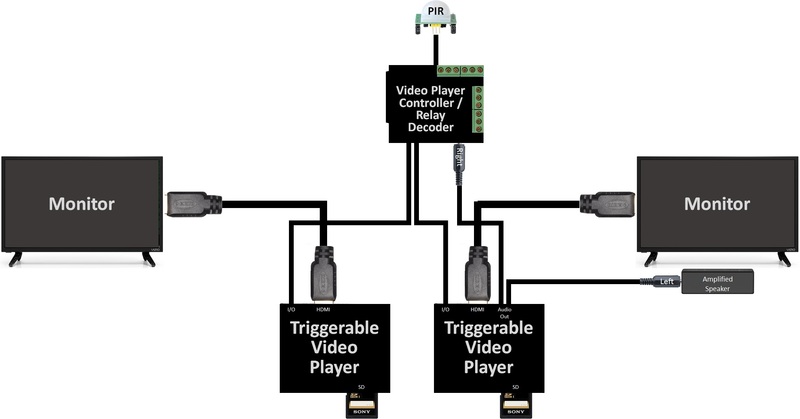 The video player controller controls the video players by opening / closing a relay, generating a logic-level pulse or through serial communications. 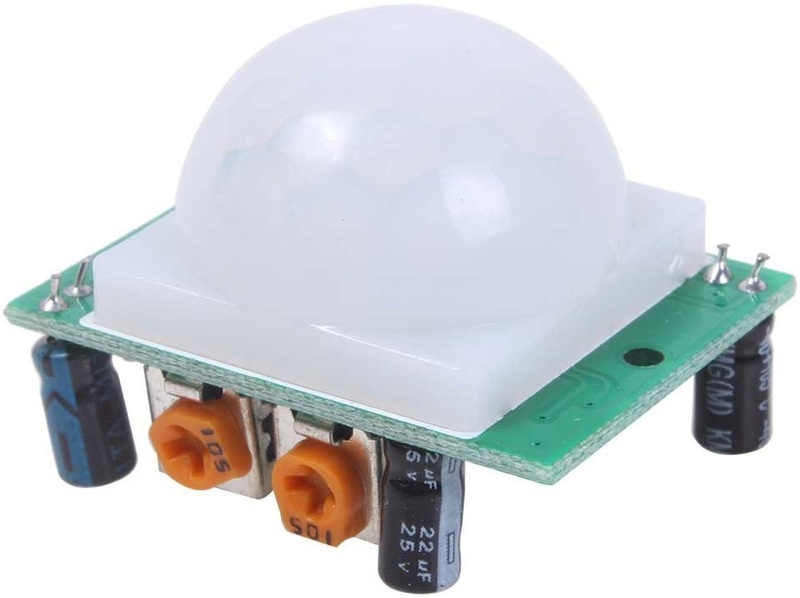 The video player controller may be triggered by a switch or PIR motion sensor. 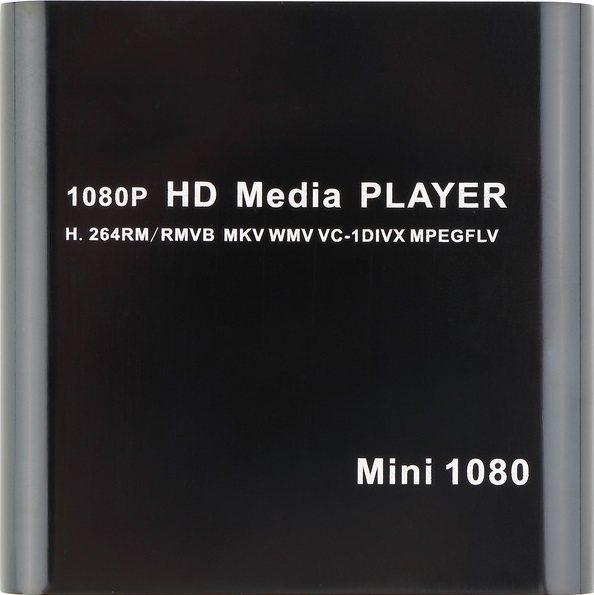 With this configuration, the video player controller and relay decoder functions are implemented using a single device. 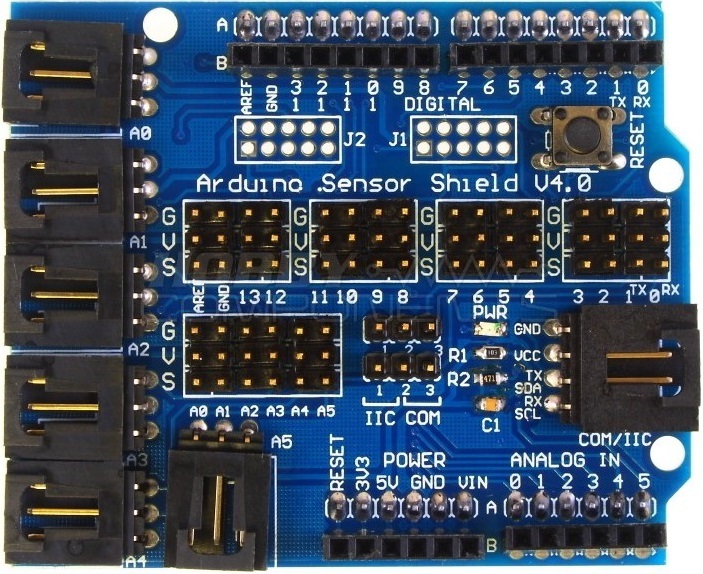 An Arduino Uno 4-channel relay shield connects directly on top of an Arduino Uno having a micro USB plug (no wires). 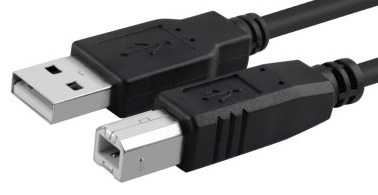 Note: For an Arduino Uno having a Type-B USB plug, refer to Appendix A – Assembly (alternate Arduino Uno Clone). 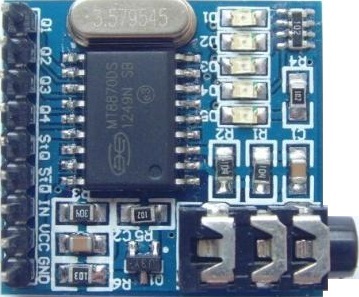 Pins 5V, G, G, A0, A1, A2, A3 and A4 of the 10-pin DTMF decoder module can be plugged directly into pins 5V, GND, GND, A0, A1, A2, A3 and A4 of the relay shield, respectively (no wires). MedeaWiz Sprite #1 I/O plug pins 2 (RX), 3 (TX) and 4 (GND) are connected to Arduino Uno pins 3 (TX), 2 (RX) and GND, respectively. MedeaWiz Sprite #2 I/O plug pins 2 (RX), 3 (TX) and 4 (GND) are connected to Arduino Uno pins 13 (TX), 12 (RX) and GND, respectively. Audacity® can be used to create a stereo soundtrack with DTMF tones in the left or right audio channel. 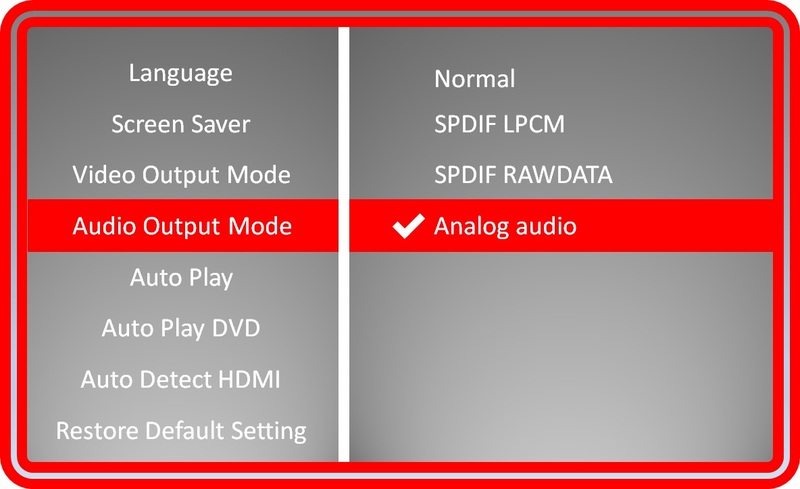 Audacity® can be used to add, modify or delete DTMF tones to / from an existing soundtrack. 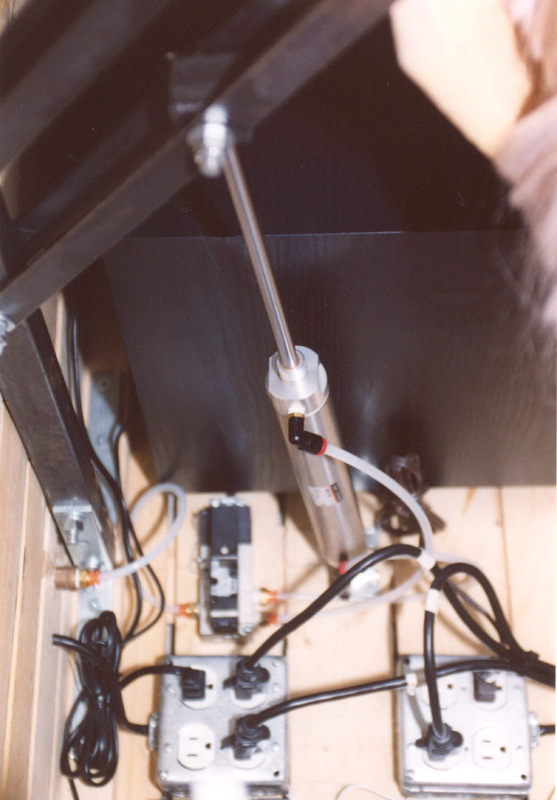 For example, assume you have a soundtrack with four pairs of DTMF tones (on and off) in the right audio channel corresponding to two solenoids valves, an incandescent light and an air cannon / water sprayer. You can use Audacity® to add a fifth pair of DTMF tones corresponding to a fogger. 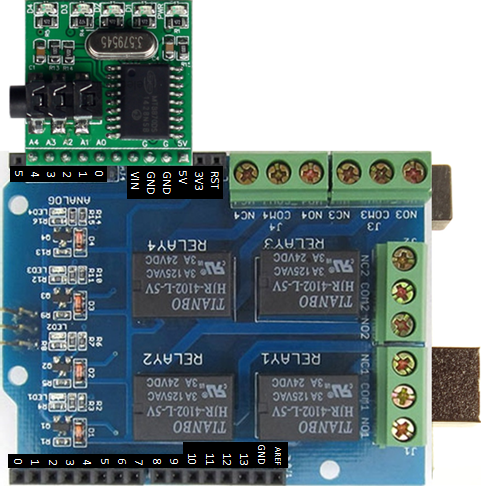 The Wicked Stone Relay Decoder supports up to eight pairs of DTMF tones (i.e., eight relays). 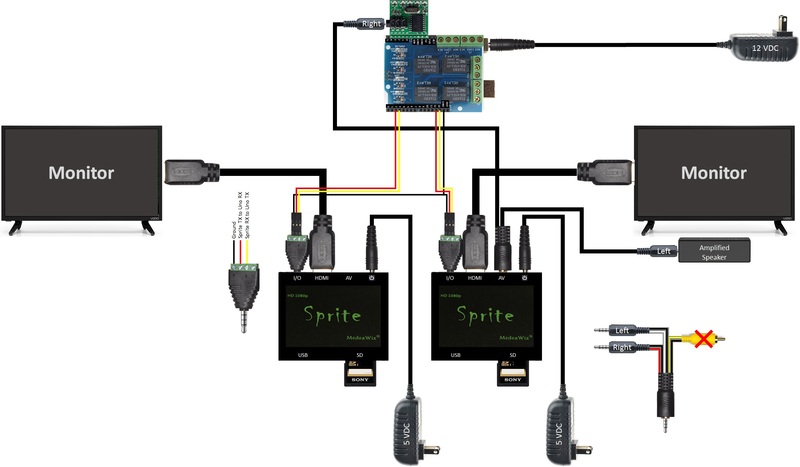 Using the Wicked Stone Configurator, we select the serial port corresponding to the Arduino Uno and click on the “Connect” button. We click on the “Debug” button to enable the generation of debug information. 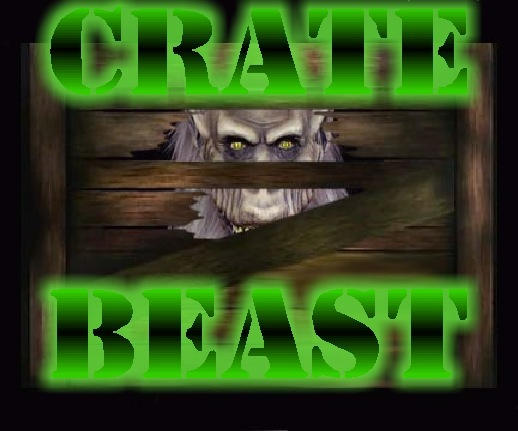 From the debug information, we can see the right audio track of “Monster DTMF” soundtrack contains DTMF tones 0, 1, … 7. 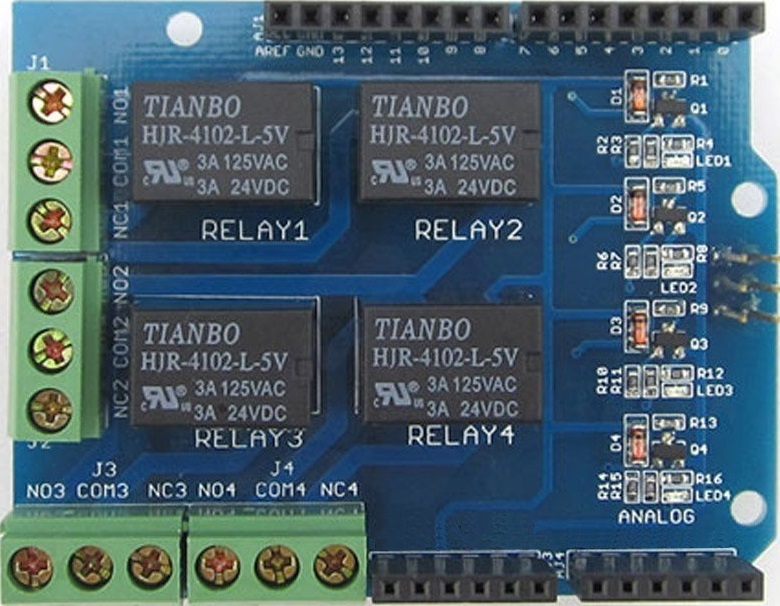 We want DTMF tone 0 to turn relay 1 on and DTMF tone 1 to turn relay 1 off. We want DTMF tone 2 to turn relay 2 on and DTMF tone 3 to turn relay 2 off. And so on. 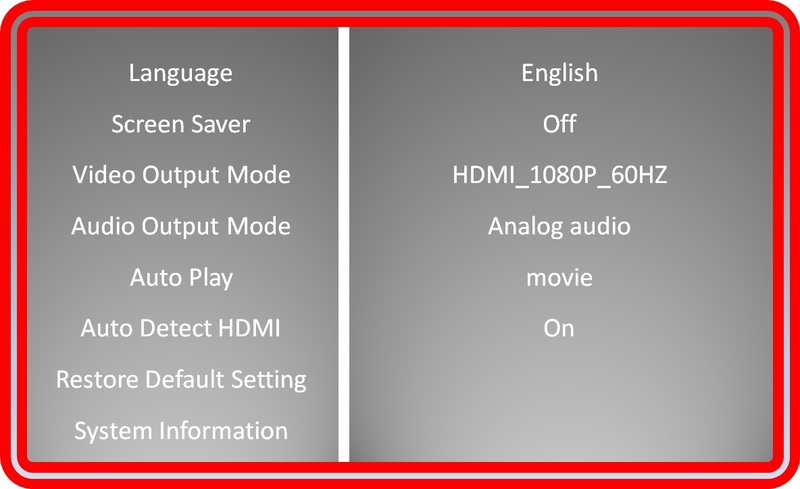 We enable the Wicked Stone Video Player Controller functionality by selecting the “Video Player Controller” checkbox. 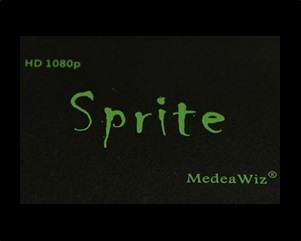 The End of Sequence Delay (following the Scare video) defaults to zero seconds. 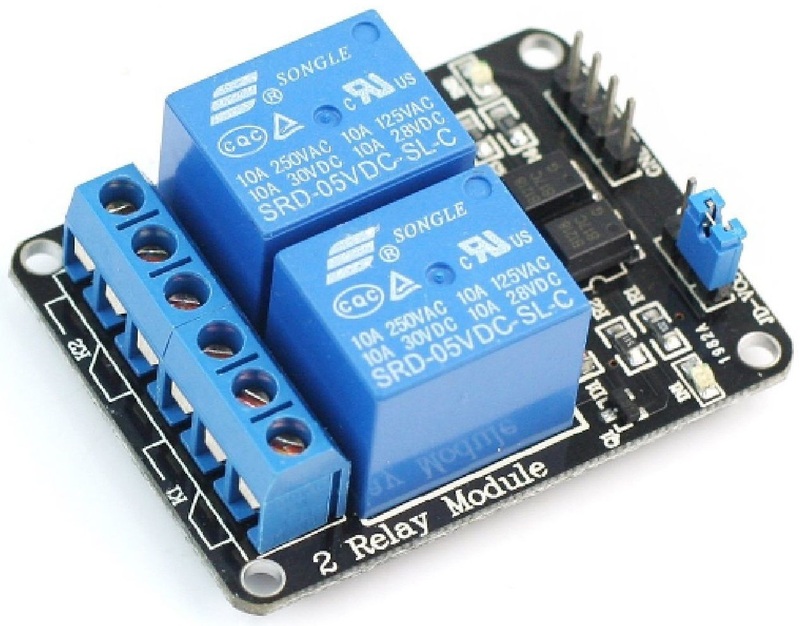 We enable the Wicked Stone Relay Decoder functionality by selecting the “Relay Decoder” checkbox. 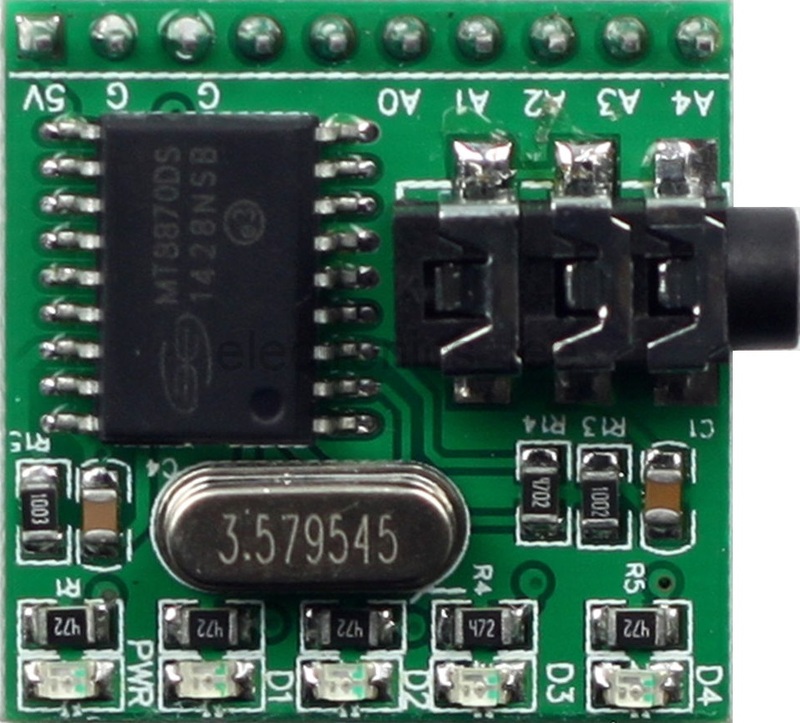 The DTMF Decoder Module defaults to “MT8870 10-pin”. 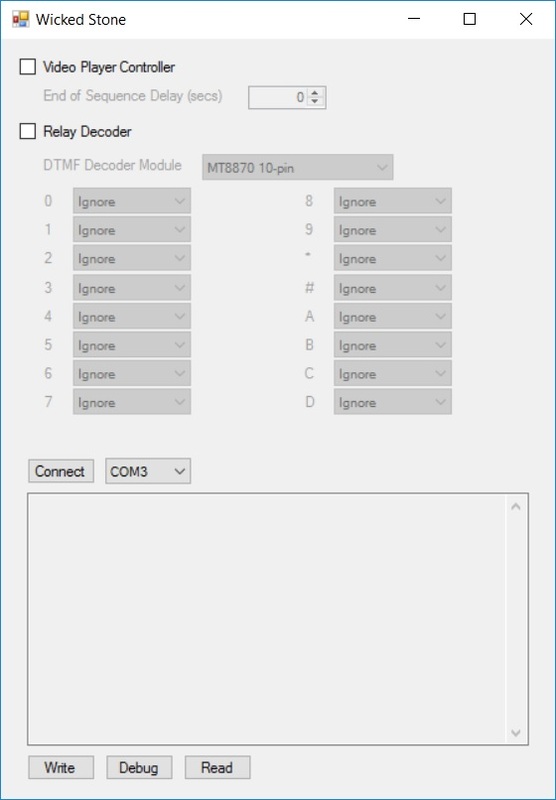 We select “Relay 1” and “on” corresponding to DTMF tone 0. 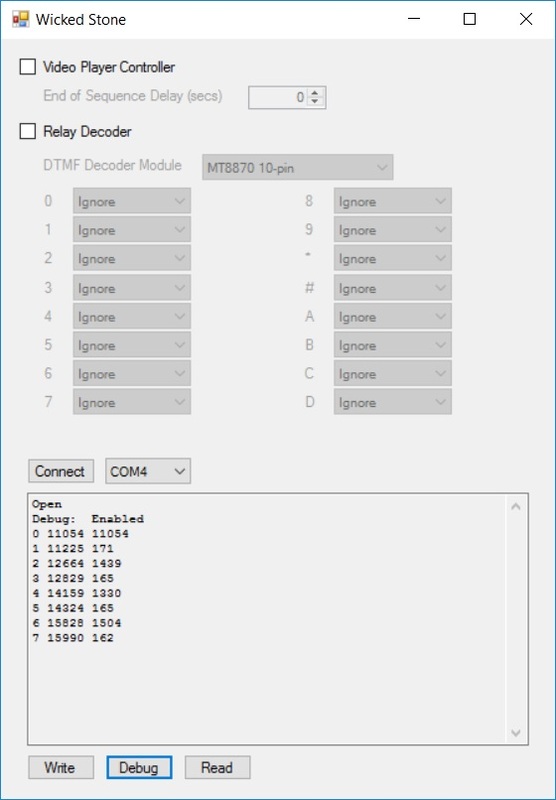 We select “Relay 1” and “off” corresponding to DTMF tone 1. We select “Relay 2” and “on” corresponding to DTMF tone 2. We select “Relay 2” and “off” corresponding to DTMF tone 3. 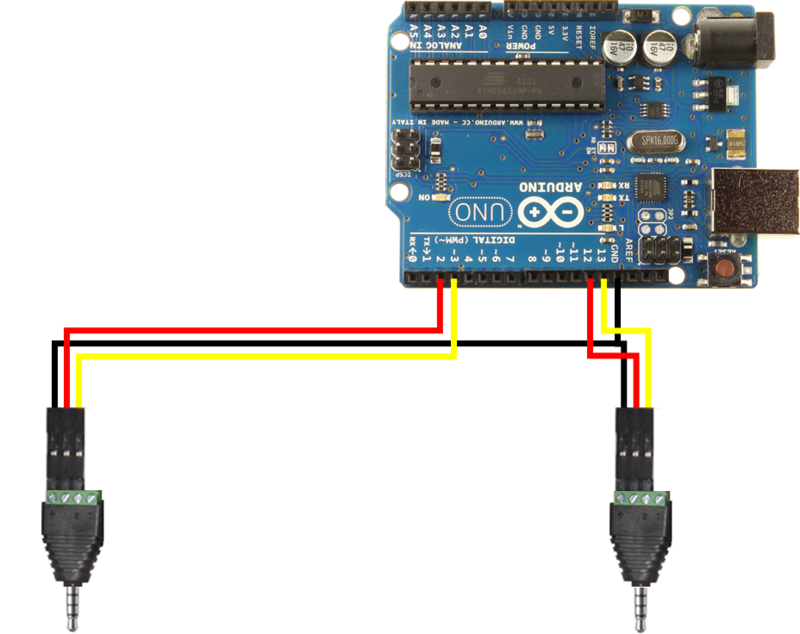 We click the “Write” button to configure the Arduino Uno. 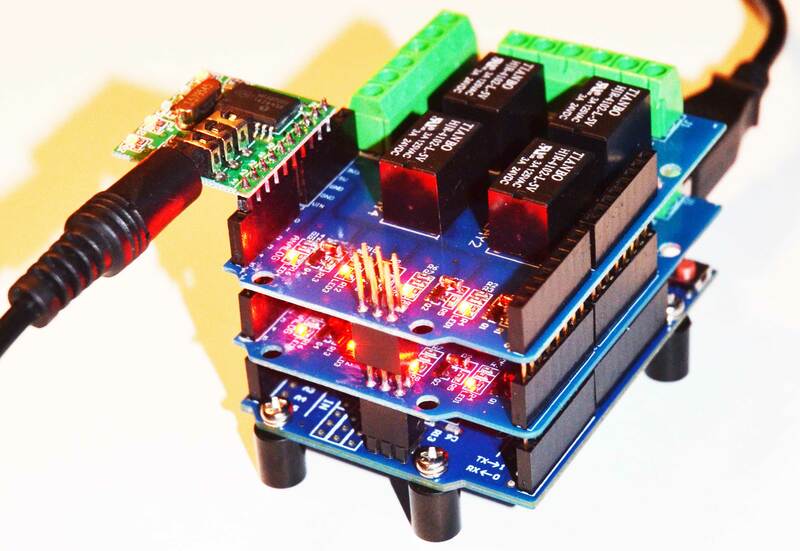 OctoBanger is a $10 Arduino-based, MP3 sound, eight-channel relay DIY prop controller ... the combination of a PC application / graphical user interface, Arduino microcontroller (e.g., $3 Uno clone) and Arduino firmware. 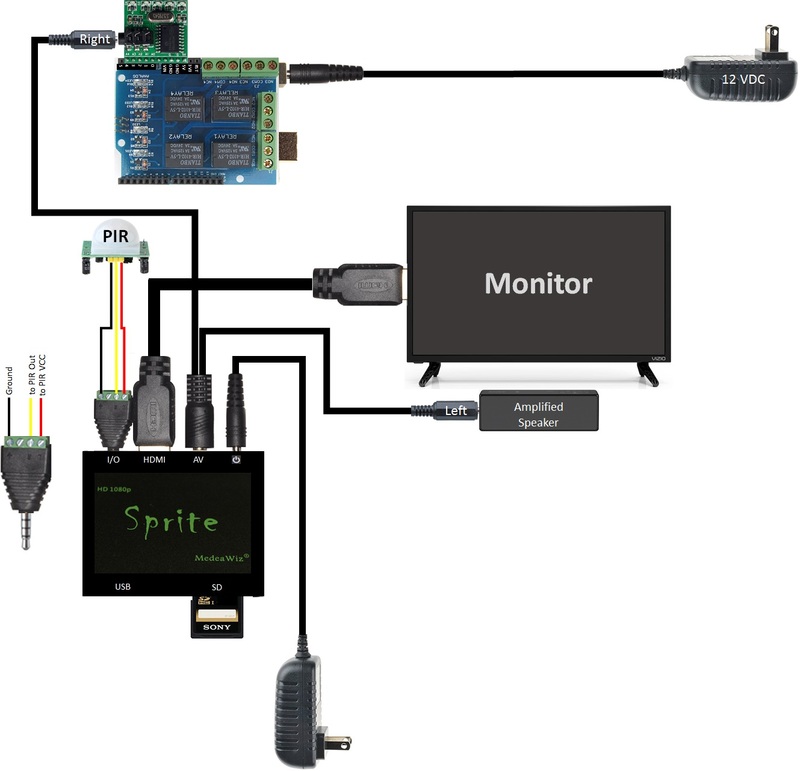 OctoBanger is capable of monitoring for an input trigger (e.g., switch, motion sensor, …) and controlling a MedeaWiz Sprite video player through (uni-directional) serial communications. 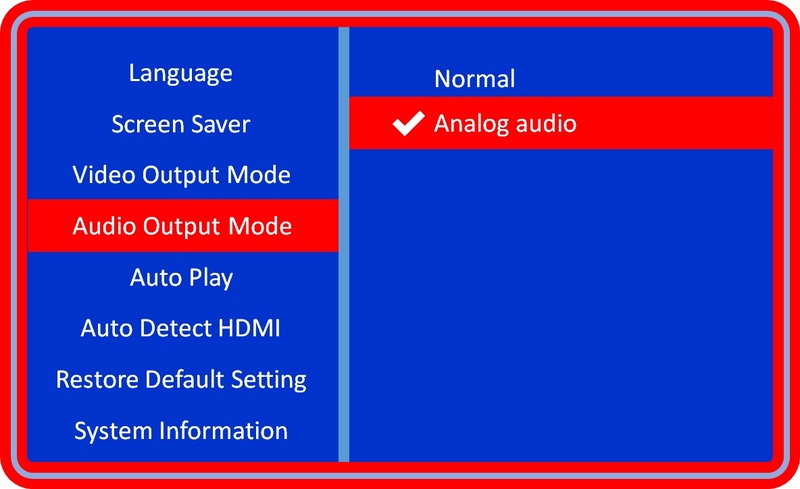 OctoBanger can be used to synch up to eight relays with a soundtrack containing DTMF tones in the left or right audio channel without the need for a relay decoder. Select the first pair of DTMF tones by clicking on the graphical representation with the left mouse button and dragging. Right-mouse click and select “Visual Peaks”. 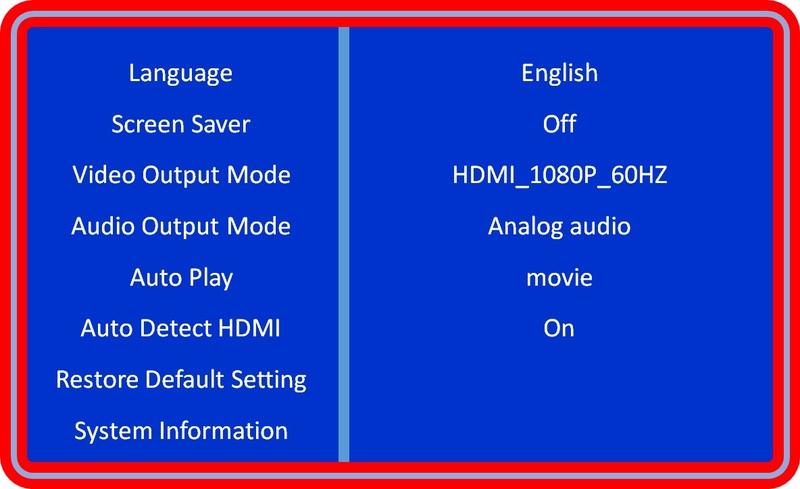 Select corresponding to the right audio channel. Adjust the slider until the first pair of DTMF tones are fully / cleanly highlighted in green. Right-mouse click on the graphical representation and select “Range On” → “Output 1” where “Output 1” is the relay corresponding to the first pair of DTMF tones. Use the “Toggle Edit/Select Mode” to fill-in between the DTMF tones. Repeat this process for all of the DTMF tone pairs. 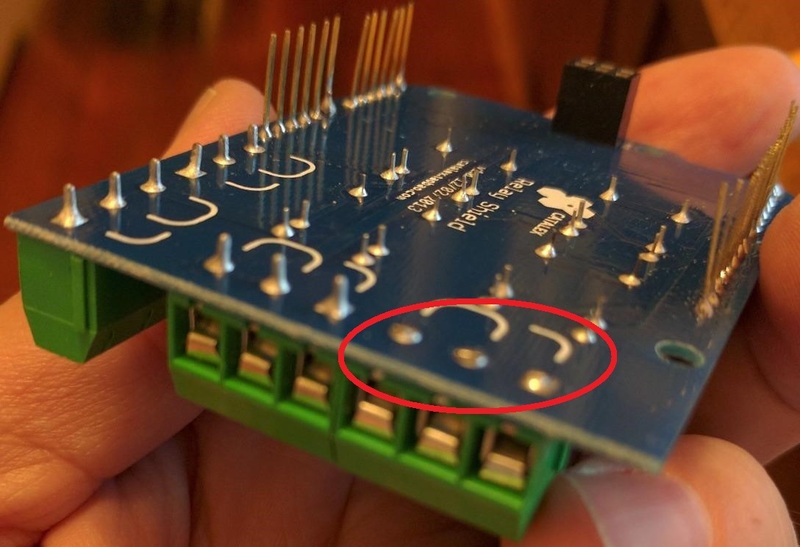 You must file down the three pins corresponding to terminal block J1 on the Arduino Uno 4-channel relay shield to keep the pins from making contact with the Type-B USB plug on the Arduino Uno. 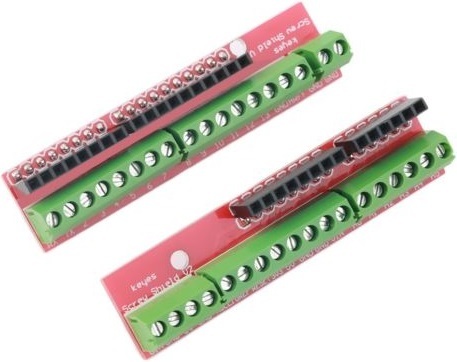 Pins Q1, Q2, Q3, Q4 and STQ of the 9-pin DTMF decoder module can be plugged directly into pins A0, A1, A2, A3 and A4 of the relay shield, respectively. 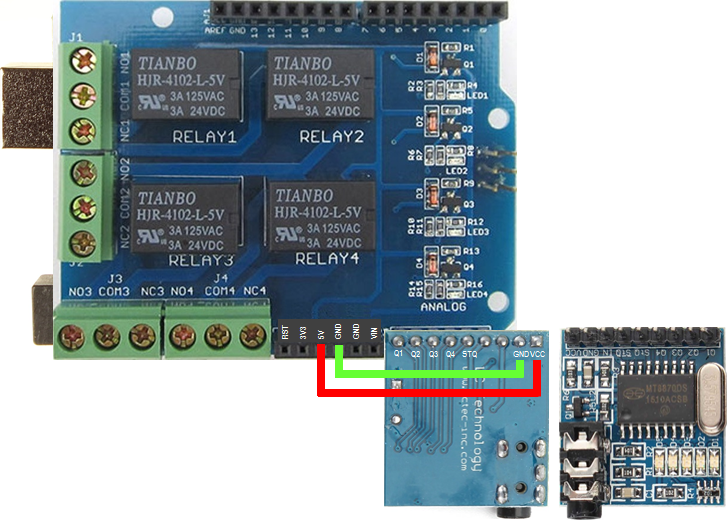 Pins VCC and GND of the 9-pin DTMF decoder module must be wired to pins 5V and GND on the relay shield, respectively. 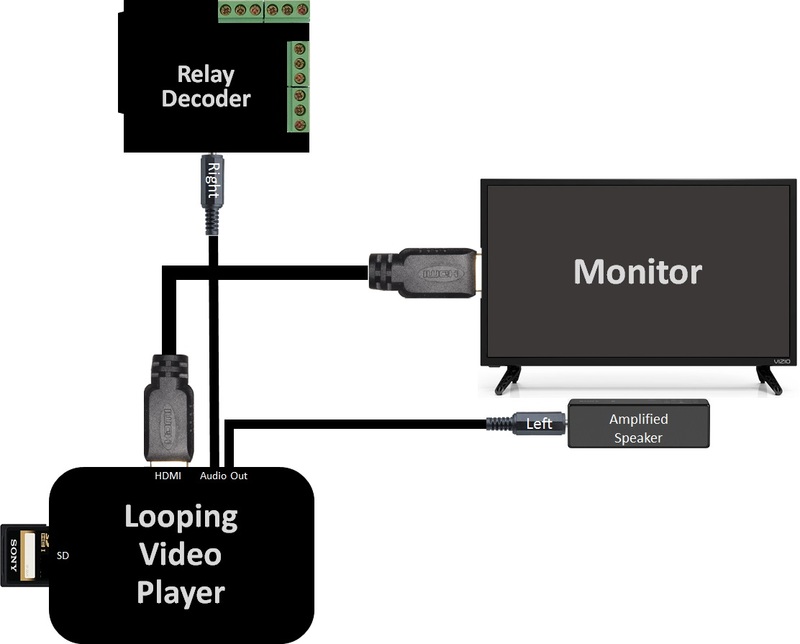 Note: With a looping video player, we only enable the relay decoder functionality. 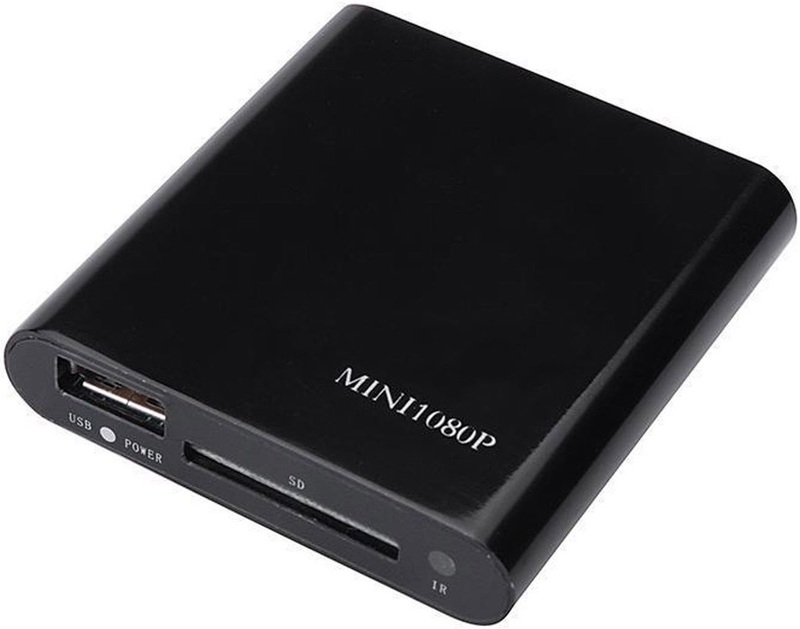 Note: You could configure this $20 video player to play both audio and video via the A/V port. 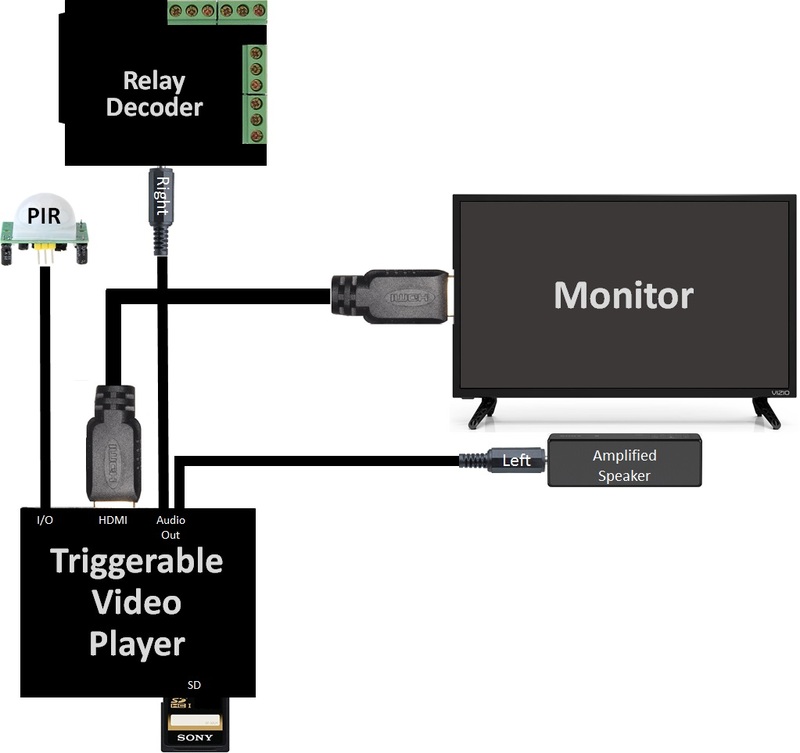 Note: A looping video player is not suitable for props: involving a "trigger" (e.g., switch or motion sensor); nor props involving multiple video players requiring coordination / synchronization.